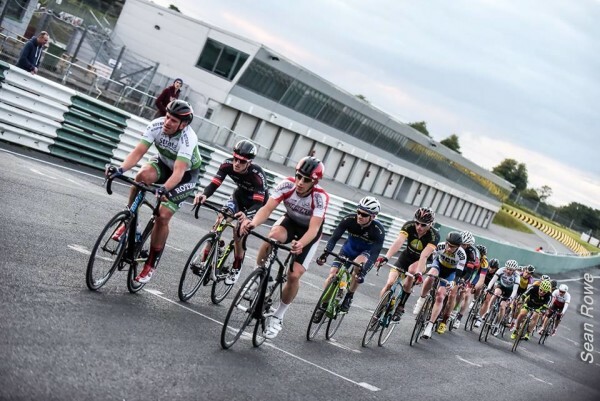 Tuesday night’s race in Mondello, Co Kildare, was the last in the series of competitive outings on the motor sport track for the 2015 season. 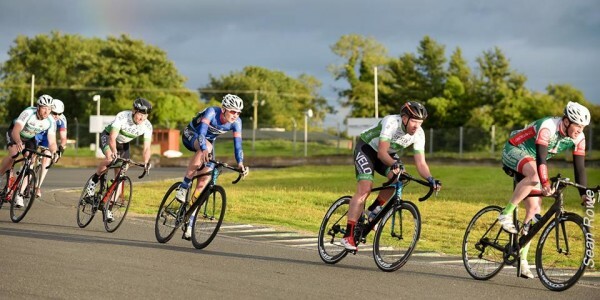 The final leg of the Bikeworx-sponsored series was won by Sean McKenna of Team Aquablue, bringing his tally of victories for the season to 11. In the peloton, Damien Shaw of Team Asea was racing in his new national champion’s kit; it was the first outing for his new gear since winning the senior road title in Omagh back in June. The kit is old school and looks very slick. It doesn’t deviate too much from the jerseys champions are presented with on the podium when they win national titles. 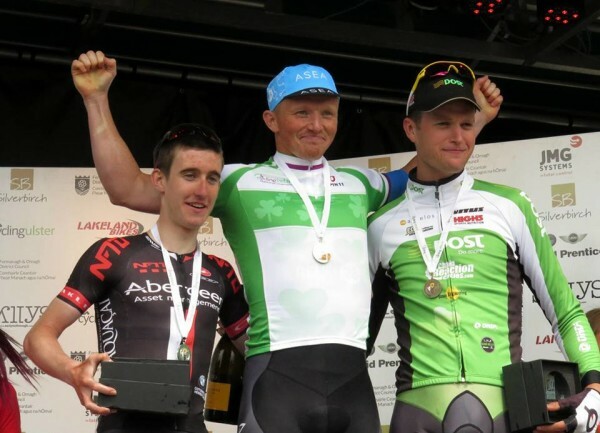 Damien Shaw on the podium just after the nationals, wearing the standard Irish champion’s jersey. His new kit has been fused with the livery of his Team Asea squad, but the new design remains true to the standard jersey and looks fantastic as a result. Their teams then put their own stamp on the jersey, with a design that is normally a mix between team livery and the white and green design of the Cycling Ireland issue champion’s jersey. 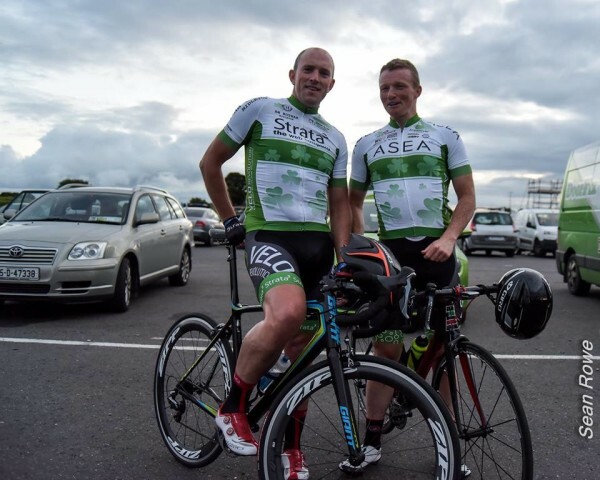 Some of the designs down the years have perhaps been over ambitious and have lost their way, but the decision by Shaw’s Team Asea to honour the standard design has resulted in a classic jersey with a modern twist. And his shorts are the same; black traditional design topped with some green and white flourishes. Aidan Crowley’s gear appears to be exactly same, save for the sponsors’ names. Crowley’s team is backed by Strata 3 and VeloRevolution, which designed both kits and which the Corkman owns. 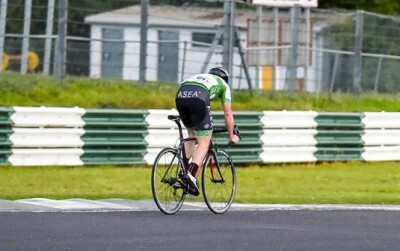 The two champions were pictured by Sean Rowe at Mondello. 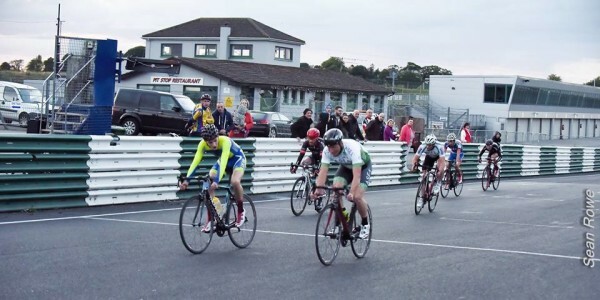 Shaw, closest to camera, finishes 3rd in Mondello on Tuesday night. Crowley in his Masters’ champion’s livery second in line, with Shaw fourth in line. Shaw’s shorts are old-school plain black design with his Asea sponsor’s logo in white on the legs and back panelling, with some green bands at the bottom of the thighs. Crowley on the front of the group; his sponsors logos also gently fused with the Cycling Ireland standard jersey.